Dead at Age 22! 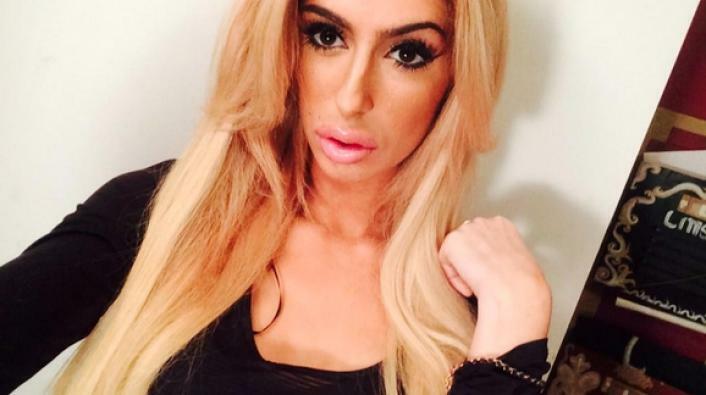 Bad Girls Club Star, Linsey "Jade" Berardi aka The Brooklyn Brat has Passed. - T.V.S.T. The “Brooklyn Brat” Jade has passed away. It’s crazy because she was only 22 years old. Although her death has been confirmed, how she died is still a mystery. Her real name is Linsey ‘Jade’ Beradi. She was only on the Bad Girls Club for a hot minute. She actually pulled herself from the show just two episodes in after she got into a fight with another cast member, Jada Cacchilli. When news of Jades death hit the internet, since it was so close to April Fool’s day people thought it was another internet hoax. Not until Oxygen released a statement did people finally accept that this was indeed real. In lieu of flowers, her family asks any donations be sent to animal shelters. Linsey was a lifetime animal lover and passionate advocate. This is the$20 million dollar question. At age 22 you almost immediately think drug overdose but this does not appear to be the case. The Bad Girls Club Tea Instagram account originally posted how she died, but I was too late to the party and missed it. They posted comments made by close friends but Jade’s family requested that it be removed. (Which of course deepens the mystery). I find that statement super believable and have written overdosing off as the cause. “im bored and sick. listening to pucsifer. hi. So it definitely appears that it was some type of illness. Anyone passing at the prime of their life is not only sad and tragic but also extremely interesting. You want to know what happened to them so if you can prevent it you will. Or you want to know if it is something that completely can’t happen to you and one less thing you have to worry about. Kind of narcissistic to be thinking about yourself during the loss of someone so young, but we are in a selfie-age. RIP Linsey. We will keep you updated on our Facebook page when we confirm the cause of her death. Here is a super crappy tribute video. Almost so crappy that I wasn’t going to show it but it does show her and the episodes she was in. Our thoughts are with her family. Gwyneth Paltrow And Chris Martin Celebrate One Year Of Not Being Together By Being Together On Vacation!